I often get commissioned to publish books by businesses or organisations for specific purposes. These books may not go onto wider sale in the shops or online. Instead I am funded to print a batch for a specific purpose to give away or sell for charity. One such commission was from Carisbrooke Castle Museum Oral History Department in collaboration with Isle of Wight Council Heritage Education Service and the Island Free School. The project was funded by a Young Roots grant from the Heritage Lottery Fund. The project was to publish a book of recorded memories from local retired people on the Isle of Wight. The memories were al recorded by children from the Island Free School. It was all part of a integenerational project where the children would work with the oral history team and the retired people to show them artefacts and record their responses to these objects. I was asked to come into some of the session at the Island Free School and introduce the children to the idea of creating a book full of photos they had taken and edited highlights of the recorded transcripts. Over a number of weeks I helped two groups of children put together an outline boo and curate the content into different themes such as seaside memories, leisure and wartime. 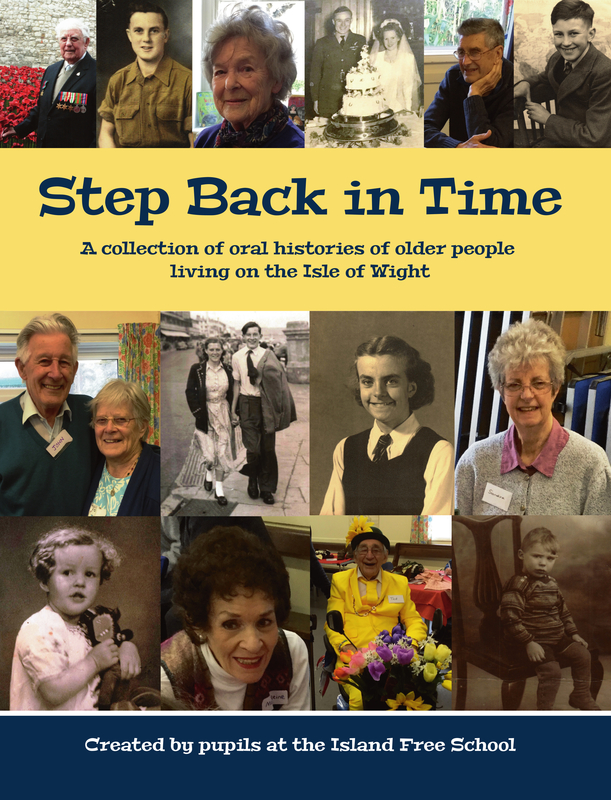 More importantly the children came up with a great title for the book: Step Back in Time – A collection of oral histories of older people living on the Isle of Wight. There wasn’t time for the children to create the whole book at school so I took their outline and designed and typeset a full book full of wonderful memories and images. Funding provided for a print run of copies for a book launch at the Island Free School so that copies could be given to the children and the people who had taken part in the interviews. It was a rewarding project to be involved with and I think the final colourful book was received very well. 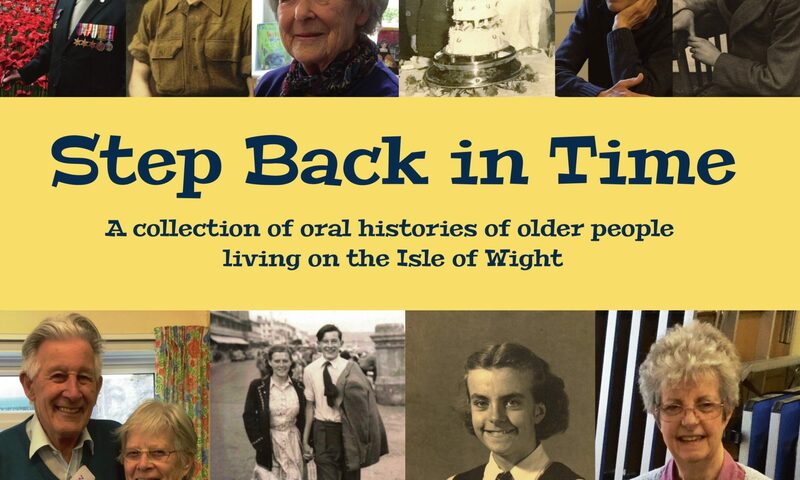 There is more information and transcripts from the interviews on the official website for the project and also you can look at a digital copy of Step Back in Time – A collection of oral histories of older people living on the Isle of Wight.